You’re super excited about your new product launch. You’ve spent a ton of time and effort in designing and developing your new product, why wouldn’t you be? After all of this time and hard work, it is time to present your new product to the world with a product release. You release your product with the hopes of blowing up with your launch, hoping to reach millions of people and having newspapers and TV call you to interview you and hear about your new product. Unfortunately, most of the time, that is what happens at a product launch. The new launch just doesn’t get the traction that the brand is hoping for. Unless your name is Elon Musk, or you run a brand called Apple, you don’t have all eyes on you before a product launch. But at your product launch, you want everyone to be as excited as you. So how can you build up hype to get everyone excited and give your new product launch traction right from the start? One way is to leverage social media. Running a successful product launch isn’t easy. Especially not if you don’t have millions to spend on it. But a successful product launch can have a huge impact on how successful your product is for a long time to come. Don’t run another product launch that is a complete disaster or isn’t getting people as excited as you hoped they would be. If you’re planning to run a product launch in the near future, and want your products to be launched with a bang and get instant traction, keep reading. 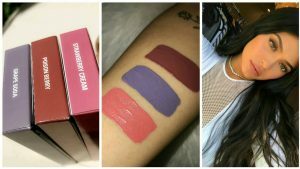 In this post, we’re looking at How to Use Social Media to Hype Your Product Pre-Launch, so stick with me! Why should you use social media for your product launch? Let’s start with the question that I know many of you have. Apart from allowing you to reach more people, social media actually has several other marketing benefits for brands. 66% of marketers found that social media marketing is effective for generating leads. Your ultimate goal with your product launch is to get people to buy your new product. I mean, you aren’t releasing new products and hoping that no-one will buy it, right? When social media shows this conversion power, there’s very little reason to why you shouldn’t be using it for your new product launch. 68% of marketers effectively use social media marketing to garner customer loyalty. Social media is one of the best tools brands can use to improve their customer relationships. And what happens when you build relationships with your customers? Loyal customers are the most valuable types of customers because they will always be by your side. And the best part is that when you have loyal customers who are advocates for your brand, they’ll go around telling everyone how awesome you are, sharing your brand’s message. This, of course, also goes for when you’re having a product launch. This means that with the help of free promotion from your loyal fans, your product launch can gain more traction. By leveraging social media, you can build a loyal base of fans before your product launch, that consists of people who are even more excited than you are, and that will go out and share the news once your product launch goes live. The thing that social media is mostly known for is its power to help brands reach new audiences and spread the message about their brand’s existence. Studies have found that 89% of marketers believe that social media marketing is an effective way to gain more visibility for their brand. If you don’t have an audience, and if people don’t know you exist, it will be impossible to gain traction, because its success is dependent on the attention of people. With all of these benefits from social media in mind, let’s look more concretely on how you can leverage the power of social media to generate buzz for your product launch. Researching your audience is the foundation of all successful marketing. In fact, it is the foundation to all successful businesses. If you don’t know who your audience is, you’ll aim in the dark, and you’ll most likely miss. Most importantly, you’ll also craft messages that don’t speak to and resonate with your target audience, and when you finally launch your product, crickets will play. Before you do any kind of marketing efforts, it is crucial that you have a plan, have developed customer personas, and know your audience down to the smallest detail, for instance, what they eat for lunch (okay, maybe not that detailed). The better you know your audience, the easier it will be for you to reach your audience, and also craft messages that spark their interest and ultimately gets them to convert. Social media is a tremendous place for getting to know your audience, but also for reaching them. After all, people on social media share everything. From what they eat to what they like and dislike. When launching your product, you want to create a campaign from your audience’s perspective. What will they resonate with? It’s one thing to grab the attention of your audience, but it’s another to grab their attention and get them to stay to the point where you’ve created a desire to buy. The most important thing that should shape the form of your product launch, and work as a framework for it is your target audience. But if you don’t know who your target audience is, you won’t have a framework that tells you the structure of your campaign. Obviously, the way Tesla’s framework for a product launch looks should be completely different from the product launch of Adidas, because their target audience, or more importantly, the personalities of their target audiences are different. It’s impossible to talk about any type of marketing without mentioning value. And when talking about providing value in marketing, it is impossible to not mention entrepreneur Gary Vaynerchuk. The traditional way of marketing has long been to say ”buy this”, ”buy this”. But today, marketing is different. And in order to cut through the noise, you need to do something else than just shove ads down your customer’s throats all day long. Because what will happen then is that you’ll scare your customers away rather than bring them closer to you. People hate being sold things by brands, but when you provide them value, and most importantly, provide them value without expecting anything in return, human psychology affects us humans in the way that we feel obligated to return the favor. So when you eventually say ”buy this” after having provided your audience with a ton of value, they’ll feel guilty in buying because you’ve brought them so much value. And it’s not necessarily about guilting your customers into buying from you, but instead, it is about giving them something of value so they actually come to you because they are getting something from you, which for you is your value proposition. 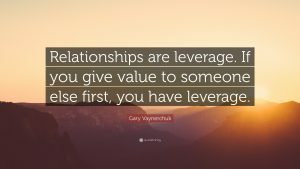 Instead of the relationship between you and your customers being a take-take relationship, it is better with a give-take relationship, where you give 51%. That way, both parts will feel like they’re benefiting from the relationship, and your customers will feel like they are the ones that are benefiting from it the most. I can’t tell you what ”value” is because it depends on your audience. A common misconception is that value means actual value in the form of cash or physical gifts, but the reality is that ”value” can be anything that your customers conceive as value. For instance, if you give, you can give your audience valuable information that is good to know, because they’ll see that as valuable. This is also part of the reason why it is so important that you know your audience well. For instance, if you give people who love dogs information about cats, they won’t get much value from it. But if you give people who love cats information about cats, they’ll get a ton of value from it. Know what your target audience cares about, and then provide them as much value as you can – without expecting anything in return. Because once it is time for your product launch, they’ll be much more likely to convert in a heartbeat. He provides his audience with content that brings his audience value every single day in video form, audio form, and written form. And every now and then when he releases a new book or has something to offer, his audience will buy it in a heartbeat. Partly because he builds a highly engaged and loyal following, partly because he has brought them so much value, and partly because he becomes a hub for entrepreneurial content, which means he has the attention of people, without having to pay for ads. He just gets the attention of people by putting out content. This is also the reason why you should invest every dollar you have in content marketing. Okay, maybe not all of it, but a whole lot. Everyone loves winning and getting free stuff, so what better way to get traction for your product launch than to run a giveaway? What’s also interesting when it comes to running a contest is that you are bringing your audience value. Only this time, you bring them actual value, for instance by giving away a product etc. Contests are tremendously effective on social media, and the better prize the winner gets, the more people will be likely to join. You should remember, though, that there is a difference between a contest and a giveaway. If you run a giveaway, you’re giving away something without asking your audience to do something except for just entering it. Moreover, everyone has the same chance of winning. With a contest, however, people are contributing to something, for instance with a post, and then the winner is based on the person who has created the best entry. In other words, a contest is based on performance, while a giveaway is not. For the sake of this simplicity, I’ll refer to both as contests from hereon. Contests are a great way to generate buzz, not only for your product launch because contests attract attention and increase awareness. It’s a way to build your audience and make people aware of your brand. And in this case, your product launch. When running a contest, I always emphasize the importance of the price you are giving away. Yes, the more valuable the thing you give away, the more contestants and entries you’ll have. However, that does not mean that you’ll have the right contestants. For instance, if you give away a car, you’ll attract a ton of people, and on paper, the contest will be tremendously successful. The only catch is that only a small part of the people who have entered will actually be interested in your brand and your industry. And when it comes to generating buzz and ultimately driving sales with your product launch, the people who will be interested in your product launch will be people in your target audience. Therefore, when running a contest, give away something that is relevant to your audience. And even better, now that you’re running a contest to create buzz and draw attention to your product launch, why not give away your new product? Running a giveaway of the product you are launching is one of the most effective ways to generate buzz for your product launch because what will end up happening is that firstly, you’ll make people excited in winning your product, and you’ll also make people aware of the fact that it exists. Secondly, there can only be so many winners, and when people who wanted to win your product so badly don’t, many people will go out and just buy it from you instead. The best way to increase awareness of your product launch is to create a contest where the rule of entry is to share something on your social media page. It doesn’t have to be that you have to create a photo or video yourself, but it can also be to just repost your own photo. Because when you do this, you make your own audience and the people who enter your contest into marketing pillars who go around spreading the word about your giveaway and your upcoming product launch. It makes people a part of your product launch and makes them super excited about your launch because that means that they’ll finally get the product they’ve long been waiting for. 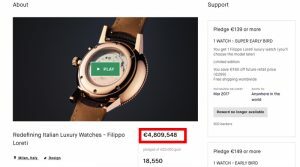 Crowdfunding means that people have paid for your product before you’ve even launched it, which means they clearly believe in it and like it. As a result of this, you will have built an audience of engaged customers before you’ve even launched your product. The way that crowdfunding normally work is that you set a goal of funds that you need to reach for your product to come to life. This means that if you don’t reach that goal, your customers will get their money back, and you won’t create the products. The best part about this is that since the making of the product is solely depending on the backing, your customers who are clearly engaged in your new product will go out of their way to tell people about it because they want to see it become a reality, and ultimately gets the product themselves. In other words, they’ll tell all their friends on social media, friends, family, and more about your product launch. In other words, your customers will go out and promote your brand completely for free – before you’ve even launched. When running a crowdfunding campaign, you, therefore, want to leverage social media as much as you can and use every method possible to get your customers to tell everyone about your product launch. One way is to incentive your customers to promote your campaign on social media. A lot of their success, they have social media and their customer’s word of mouth marketing to thank. Sneak peaks is a great way to build hype around your new product. You’ve probably seen all of the major brands do this, and that’s because it works! 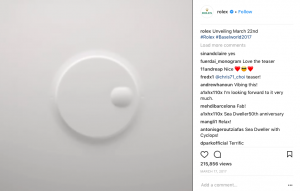 Just look at how Rolex shared small, and I mean very small sneak peaks of a new watch that was going to be released during Basel world 2017, thus leaving lots of room for imagination. Sneak-peaks spark interest and engagement, and it will nag on your audience in a good way because they’ll go around wondering, and trying to think out what product you are going to release, and what it is going to look like. However, when doing sneak-peaks, you need to be very careful. There’s a risk that you’ll get carried away with your sneak-peaks and reveal too much before the launch. And doing this will take away all the excitement and mystery of your launch. People already know what it is you’re revealing, so why should they tune in on the day of your product launch? With your product sneak-peak, build anticipation by dropping hints on what your product launch might be about, but leave out the major bits and information for the day of your launch. Otherwise, the only good thing about your product launch will be that people can finally purchase it. But in terms hype, your product launch won’t do much if you’ve already revealed everything. The tone of your marketing must be engaging to users before and after they make a purchase. Include phrases that are easy to read and that people would remember. Be clear in your messaging so people know what the new product is. You can build up hype for your product launch, bot don’t let the duration be too long, because if it is, the hype will eventually die out before you’ve even launched your product, and this isn’t ideal considering it is at the day of your launch that you want the hype to be the greatest it can be. Similar to running a contest or giveaway on social media, but the difference here is that you are leveraging your reach on social media to get the emails of people who are interested in your new product launch. Instead of having people tag a friend on your post, or follow you to enter your giveaway, you have them sign up with your email address and then run a raffle of your new product that you are about to launch. The best part about this is that when your product finally launches, you’ll have a ton of email addresses to people who have shown an interest in your new product. This means that even if they didn’t win, you can let them know that your product is up for sale, and maybe even that they can get it at a discounted price. The best potential customers are obviously people who have shown interest in your products, and by getting their email, you have a direct channel to them. To further increase the number of people who join your raffle, you can add share buttons on your page so people can share it to their friends on social media. And in order to actually incentivize them to do so, you should reward those that do it by increasing their chances of winning or giving them a discount code for your new product etc. As a result of this, you’ll be able to generate a ton of buzz right from the word go, because once your product finally launches, you’ll be able to notify the people who’ve shown an interest, and many of them will check it out – maybe even buy! What better way to engage people than in person, right? And what’s even better is to take advantage of the personal connection with your audience and take it to social media. Well, there are several ways you can integrate social media into your event to generate buzz for your product launch. 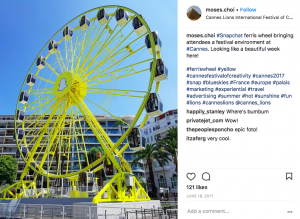 During the event Cannes Lions, Snapchat set up a huge Ferris wheel with a snapcode (similar to QR codes, but on Snapchat) where people could scan the code and get access to exclusive filters. Snapchat had strategically placed snapcodes where, if users scanned the codes unlocked a festival-themed lens that overlays a pair of sunglasses and the word “Cannes” within the Snapchat app. Snap has also set up a Spectacles vending machine nearby, possibly to persuade marketers to check out its video-recording sunglasses. By doing this, Snapchat both sparked interest in the people who didn’t know what Snapchat was, to download the app and then scan the QR codes, but also to get tons of people to share posts on the platform with the QR code. Moreover, a ton of people also shared images like the one below on social media, thus granting the app more awareness. Another way to leverage real-life events to create buzz around your product launch on social media is to encourage people to share content about your brand and launch. For instance, ask people to share a photo from your event and telling people about your upcoming launch. Not only will this encourage more people to visit your event who are in the local area, but it will also spark interest and buzz around your launch. Branded hashtags are beneficial for brands in many different ways. First off, by creating a branded hashtag, you create a place where people who share content about your brand, products and product launch, which allows like-minded people to go there for inspiration. When having the content created by your audience gathered in one place, it allows you to keep track of the conversations that are happening around your brand and launch. In other words, it’s an effective way to quickly identify the people who are talking about you, showing interest in your launch, and more importantly, what they are saying. You can either create a branded hashtag or a campaign-specific hashtag that is only dedicated to the product launch which will then ”die out” once the launch is over. A branded hashtag is essentially just your brand name in hashtag form, for instance, #Adidas, and a campaign-specific hashtag can be anything from #Adidaslaunch or #The futureistomorrow. With product launches, campaign-specific hashtags tend to be very popular. The reason for this is that they’re often designed in the way so they aren’t revealing anything about the thing you’re releasing, but what it does instead is that it builds hype and makes people wonder what the hashtag everyone is using really means, making them look it up, and then become excited to find about what it is you’re releasing. When designing your hashtag, you want to make it easy to spell, easy to remember, as well as unique with very few posts shared from before. Estée Lauder encourages their customers to use their customized hashtag #esteestories and share their experiences with the products, and how they are using it. When people do, it gives the brand free exposure, because it encourages people to join the movement and become a part of the family by sharing a post of their products on social media. The best part about leveraging hashtags in your product launch campaign its that you make your customers a part of your product launch campaign. The reason why this is good is that it plays on human psychology. When humans have been part of creating something, they feel much more engaged in it. And engagement is exactly what you are looking for when launching your product launch. It is said that a picture says more than a thousand words, but what about a video? Well, the statistics speak quite clearly about the power of video in marketing, so a video must be worth a lot of words. Moreover, video allows you to convey your point a much better by activating several senses at the same time in your audience. You might have heard about the tremendous success of Dollar Shave Club which went viral with a YouTube video and then built their success off of it. And just a short while later, the company was sold to Unilever for $1B dollars. Dollar Shave Club spent just $4,500 to make it, and the result? 12,000 orders within 48 hours. Taking the concept of video creation one step further brings us to teaser videos. I mentioned earlier that you should share sneak-peaks of your new product to spark excitement. And this can, of course, also be done in video form. In fact, it should be done in video form, because it is much easier to spark interest and grab your audience’s attention through video. However, remember that a teaser video should be short and snappy and leave the viewer excited about finding out more, and looking forward to your product launch. There’s a difference between an ad video like the one Dollar Shave Club created, and a teaser video. Just take a look at the teaser that Rolex created which I mentioned earlier. It only reveals enough that it gives their fans a hunch of what they might be releasing, but not a lot more than that. Doing this, of course, caused a lot of buzz, resulting in people tagging their friends, as well as press catching on. All great launches start with a great teaser campaign. After all, there’s a reason that all movies have a trailer. It shows enough to spark its audience’s curiosity, but it does this without spoiling any key events in the movie, encouraging people to go and watch it. The best part about video trailers and teasers is that they are short and snappy which makes them perfect for social media, especially with the fact that people have a very short attention span while using social, in mind. With your teasers, you can make your audience so excited that when the day of the product launch finally comes, people will be ready to buy. People love to feel like they’re getting access to something other people don’t. They love to feel unique, special and selected. This is probably my favorite way of sparking excitement and buzz because if people know that the information they are getting is only handed to selected few, they’ll value it a lot more. Therefore, before your product launch, let people know about your closed group of selected individuals who will be the very first people to get exclusive information that no-one else will have. Not only will this make people value the information you give them a lot more knowing that very few other people have it, as well as feeling special for being the first to know about it, it will also make them more loyal in your brand, and even make many people loyal advocates of your brand. Because when you provide your audience value (exclusive information in this case), they’ll give value to you in return. It’s important that you find the balance between allowing enough people into your closed group of selected individuals, and not letting too many people in because if you do, you risk losing that feeling of exclusivity. One way to do this is to create a particular page on your website where people type in their email address to have the latest news about your product launched emailed to them. And next to the sign-up button, you can have a bar that tells everyone how many spaces are left. That way, people will make sure they are quick to join, so they don’t miss out because as you probably know, many humans are known to have the Fear of missing out, also known as FOMO. When you only have so many spaces left to join, people won’t have the time to hesitate, and once you’ve got them to join, they’ve entered the first stage of your sales funnel, and you also have their contacts for when your product launch is finally announced. And more importantly, the people who have joined will be the people who are most excited about it. I think none of you have missed out on the fact that influencer marketing is tremendously powerful. Influencer marketing content delivers 11X higher ROI than traditional forms of digital marketing. 70 percent of teenagers say they trust influencers more than traditional celebrities. 6 in 10 follow advice from their favorite creator on what to buy over recommendations from celebrities. 92 percent of consumers trust recommendations from peers on social media above all other forms of advertising – including people they don’t know (I.e influencers). While it is absolutely possible to gain traction for your product launch o your own, for instance with the methods I’ve spoken about in this article, taking advantage of the power of influencer marketing can greatly boost the awareness of your product launch, as well as increase the number of people who are excited for your launch. The best part about influencer marketing is that people look up to the influencer, and they trust the recommendations from the influencer. So if an influencer is excited about a new product launch, there is probably a great reason why their followers should be excited, too. Obviously, there’s great trust in influencers – trust that brands don’t have because people know that brands have one goal and one goal only: to sell more, and everything the brand says will help them get closer to that goal. But as people are trusting the recommendations and words from the influencer, what they are saying will have a much greater impact. 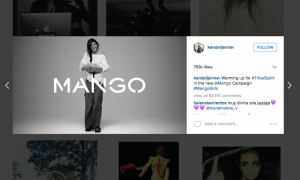 When clothing brand Mango launched their new campaign #MangoGirls, what better advocate to promote it than Kendall Jenner. As you can see from the post, it generated a ton of engagement, and as you can imagine, tons of sales and website visitors for Mango. You want to find leaders in your industry who are well-respected and trusted individuals. When they talk about your product launch, their message will reach a much greater number of people than you are able to reacher and obviously, it’s very difficult to gain traction for your campaign and spark buzz when you don’t have an audience, to begin with. By partnering with influencers, you can get people aware of your product launch and as a result, gain traction for it. One of the most, if not the most important parts of a successful influencer campaign is the influencer you partner with. Marketers identify finding influencers is the biggest challenge of setting up an influencer campaign. Fortunately, there are influencer directories that allow you to filter and search for influencers in your industry and based on your own criteria in a matter of seconds. Our influencer Directory Veloce Network is such a directory, only that the influencer in our directory are carefully hand-picked by our team to ensure the best possible results. After all, a successful influencer campaign is generated with quality influencers, not quality. Quality is what matters in influencer marketing, not quantity. A simple yet very important measure to encourage people to take action with your social media posts. it doesn’t matter how much anticipation and buzz you build around your product launch if your audience doesn’t take any actions, right? You might want them to buy, you might want them to sign up for your newsletter, but it is all dependent on them taking action, so tell them to! It’s a small detail, but it’s often the small details that make the biggest difference. If you want people to do something, then tell them to. People like when brands tell them exactly what they should do and not talk in riddles. However, know that there’s a difference between being a brand that constantly tells your audience to ”buy this” and ”buy that”, and being a brand that also brings value with your calls-to-action, for instance, ”read our latest blog post where you can learn about how you become a better driver” etc. Since you are going to leverage social media for building hype around your brand, it is crucial that you know how to create an appealing and engaging social media post. The posts you share on social media will be what allows you to reach and connect with your audience, and if done right, it will be the bridge between you and your customer’s hearts. If you don’t yet know what goes into a great social media post, it’s crucial that you know before your product launch, because otherwise, it will be hard to make your audience engaged. 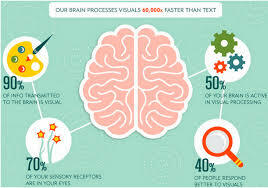 Hint: visual content and text are two parts that should always be present. 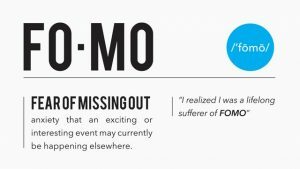 As mentioned earlier, most humans have the FOMO – Fear of missing out – more or less. This is why countdowns and presenting how many products that are left are too popular in marketing, because they give no room for hesitation in the customer, and it gets them to act quick. A great way to take advantage of the FOMO in your product launch is to have a countdown to when your product launch goes live. This way, you can build anticipation and excitement across your social media channels. One way is to create a timer on your website, and then linking to it from your social media accounts where people can see how much time remains until you release. Another way is to share posts on a regular basis where you count down to your launch. If you ask me, I recommend using both of these methods at the same time. An example of this is Justin Bieber. When he was going to release his new song ”What do you mean”, he ran a 30-day countdown and had several celebrities take a picture of them holding a sign with the title ”what do you mean?” as well as the number of days that were left until the song was released. This strategy caused a ton of buzz and excitement and gained the song instant traction once it was released because people had been counting days for when it was launched. Doing a countdown will ensure that people never forget about your product launch, and always keep it on top of mind. Planning is everything. Therefore, before you run your product launch, you want to have a clear strategy and plan for what content you’re going to post and when you are going to pst it. And more importantly, having a content plan and schedule will allow you to not get stressed out about creating content last minute. Create a social media calendar that tells exactly when you’re going to post what to ensure that your product launch that is about to go down is never forgotten. When you’re under stress and realize you haven’t created a piece of content right before you’re going to post often means act you compromise on quality, and right before a product launch, compromising on quality is the last thing you want to do. Leveraging the power of your audience is tremendously effective. If you use the power of your audience in the right way, you can get them to be the one who creates buzz around your content. And remember that 92% of people trust peer recommendations, which means that the words of your audience will be trusted by their friends on social media. But as a brand, you can’t just tell your audience to share this and share that without actually giving them anything in return. In order to get your audience to share your content and spread the word about your product launch, you need to incentive them into doing so. You need to give them a reason. Remember that when your audience share something posted by you, they bring you value, but what do you give them in return? One way, similar to giveaways is obviously to ask your audience to share your content in order to join a giveaway, but the truth is that there are more approaches you can take than that. For instance, a method for getting your audience to share content can be to give everyone who shares exclusive information about your giveaway. This is a tremendous way to further build excitement, but also to boost your reach, by increasing the number of people who are aware of your product launch. As you spark interest and generate buzz, people will start talking about you and your brand, and when they do, it is important that you actively listen, and engage with them accordingly. Engaging with your audience is key to building strong relationships, and when you build strong relationships, you increase their trust in you, which ultimately leads to more sales. 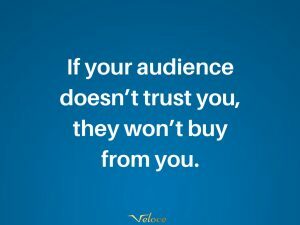 Because if your audience doesn’t trust you, they won’t buy from you. Chances are, people, have a lot of questions regarding your product launch and product, and to keep your audience engaged and excited, it is important that you respond to them. Address any concerns they might have, solve issues they have, and give them the information they are looking for. More importantly, and this is something you should always do, thank them for their support in your brand and for their loyalty. When you show that you appreciate your customers, they’ll feel valued. And when they do, they’ll become more engaged in your brand. The more you engage and interact with your audience, the more loyal they become. And eventually, they’ll also become loyal advocates for your brand that go out and tell everyone how awesome you are. Generating buzz for your product launch is tremendously important. It can have an effect on how well your product performs long after it is launched, and not only during the first week or so. A successful product launch where you’ve built up hype will help your product gain traction right from the start and help it perform well long after it has been released. Lastly, remember that great things take time, and the same goes for social media. Be patient and realize that you need time to see great results.